Free download AnyCam latest version. 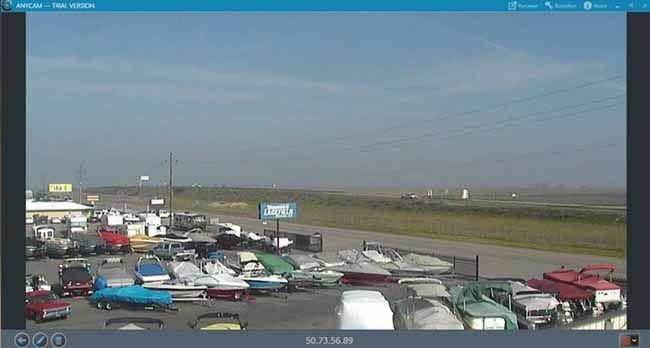 AnyCamTM is a user-friendly and effective software solution whose main purpose consists of offering you the ability to monitor multiple IP cameras simultaneously, handy for surveillance reasons, in particular. To add a new camera to AnyCamTM, you need only input the IP address or the domain name, the port number being optional. Aside from that, there are no other configuration options. You can then click ‘Save’ and the tool will attempt to stream the images captured by your device, enabling you to view them on your computer. You can use full featured application free for 30 days. Afterward, only one camera can be viewed. The application features a clean and intuitive user interface, its straightforward functionality posing little to no difficulty in working with, from the first run. The main window of AnyCam displays currently connected devices and allows you to add new ones, the only required information being the IP address of the camera. Allows any number of cameras. Cameras are organized in tiles and could be viewed individually, in windowed-mode or full screen.